Rajkummar Rao on Valentine's Day: Stree star Rajkummar Rao took to his official Instagram handle to wish a happy Valentine's day to his lady love Patralekha who were seen sharing screens in Citylights. Well, when a website asked Rao about his Valentine's day plans, he was noted saying that every day is a valentine's day for him and in fact he believes that staying true with the partner is more important in a relationship. 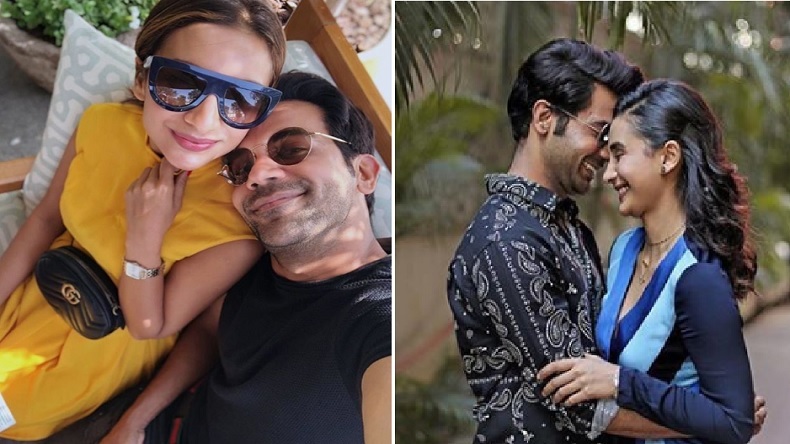 Rajkummar Rao on Valentine’s Day: From their sizzling pictures on social media to them walking down the red carpet at award shows together, Rajkummar Rao and Patralekha’s beautiful love story is not hidden from us all. They have been together for years and barely skips an opportunity of giving us a couple goals through sweet little things. As the entire B-Town is busy celebrating the love day which is Valentine’s day, fans expected a sweet yet emotional post from Rajkummar Rao and Patralekha. But guess what? Rao while talking to a website was noted saying that every day is a valentine’s day for him. He believes in staying true to his or her partner. When asked about their plans for Valentine’s day, Rao was quoted saying that there are no as such plans while Patralekha replied by saying that she needs to check his calendar and block some time for them to spend quality time. Both the stars were asked to give their opinions about relations. To which Rajkummar said that respecting a partner and just loving him or her is not enough, it should be equal and from both ends. Patralekha was quite straight to the point while talking about how a relationship needs to be nurtured with a lot of care, trust and understanding. In the meanwhile, take a look at the adorable photo shared by Stree actor in which he is seen leaning on Patralekha’s shoulder who as always looks beautiful in a yellow coloured dress with a blue glare. Wishing her happy valentine’s day, Rajkummar’s thankful post for his lady love has garnered over 197k likes.